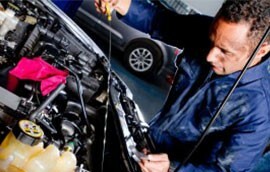 Book Your MOT Test Now! Book Your ECU Performance Boost! It's free, competitive and with no obligation! 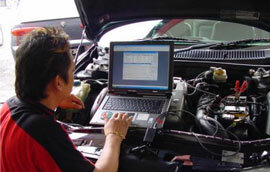 With some of the latest and most up to date diagnostic equipment, we have the ability to read all European, Asia-Pacific and Japanese Import vehicle management systems, including EML, ABS, Airbag, etc. 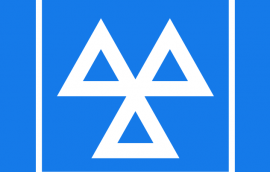 We are an Approved MOT Test Centre and offer pre-booked MOT’s while you wait. Appointments are available daily, Monday to Friday from 8.00am, with our last MOT available at 4.00pm. Prices start from as little as £21.95 (conditions apply). Did you know that we can easily Improve your car’s performance or fuel economy by rewriting the software in its onboard computer (ECU)? This process can take less than an hour and typically delivers improved fuel economy of up to 15% and performance improvements of up to 35%.This is all vehicle specific, so to enable us to confirm the gains on your vehicle, please contact us.